Disclaimer: No fun was had during the making of this article. An email invite arrived in my inbox. Something to the effect of "Would you like to race the Almanzo 100 and try Shimano's new clutch road derailleur in the process?" Would I?! Well, the Almanzo has been on my gravel bucket list for some time. Checking out a new derailleur was icing on the cake. 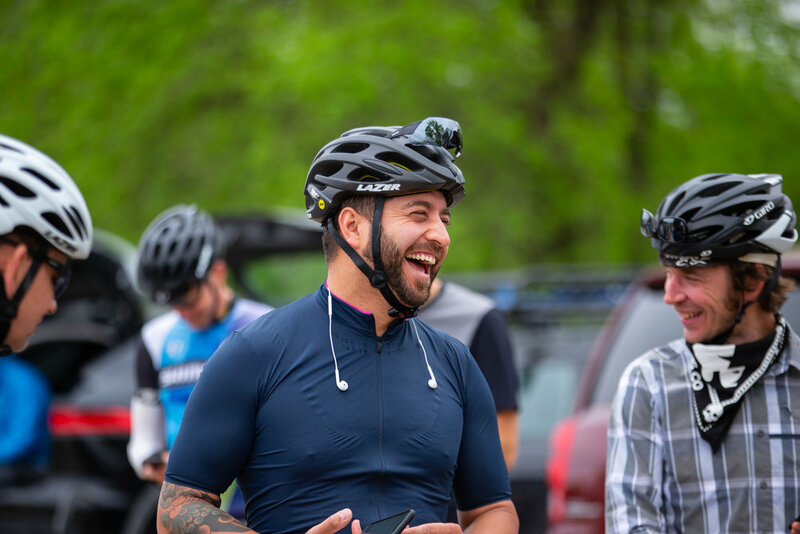 So I flew to Minnesota where I met up with what seemed like a battalion of Shimano and PRO engineers, product managers, PR peeps, and Shimano's large crew of gravel ambassadors. Also along for the fun were several other journalists, all keen to ride an event that none of us had experienced. So what was the fuss all about? Well, Shimano has been researching the gravel scene for some time, it turns out. They visited many of the areas known for gravel events and based on that information, they developed a rear derailleur for rough roads and gravel. The Ultegra RX800 and RX805 (the prescription for vitamin G?) rear derailleurs build off of its road line, adding a clutch to aid in chain retention and quiet the drivetrain noise common on dirt and gravel roads. Now, Shimano was quick to make a distinction between the new RX derailleur and its mountain bike offerings. The clutch in the RX isn't quite as strong for one. The look of the derailleur is more road than mountain too. Hiroshi Matsumoto, one of the engineers who helped develop the RX derailleur, added that one of the reasons a clutch is a benefit to gravel riders is because it helps lower stress while riding. How? Well, it's easy to get a bit paranoid when you're in the middle of a long ride. Every little creak, tick, or knock can have a rider questioning whether a tire has gone soft, a derailleur hanger has been bent. The list goes on and on. After riding the new derailleur for a couple weeks, I can say that the lack of noise is nice. I've ridden rough sections of road with the clutch turned on and off and the difference is noticeable. So, while the new derailleur isn't exactly a Valium, it does allow a rider to focus on the road ahead, staying on the wheel ahead, or the clouds in the sky instead of worrying about drivetrain meltdowns. Something I also like is the ability to turn the clutch off. If you also use your gravel bike as a road bike (as I do), you can simply turn off the clutch for slightly less resistance in the drivetrain and longer battery life (on the Di2 version) or a lighter shift feel on a mechanical bike. This peace of mind and versatility does come at a cost though. The electronic Di2 RD-RX805 will run you $285 while the mechanic RD-RX800 retails for $110. They are compatible with Shimano Di2 and mechanical 11-speed groups. I would consider this derailleur an upgrade on even a full Dura-Ace bike if its intended for gravel. Above all, it's great to see Shimano looking seriously at mixed surface riding. SRAM has done an excellent job creating products for this market with its Force, Rival, and Apex clutch rear derailleurs and 1x drivetrains. For lovers of 2x drivetrains, Shimano's RX derailleurs are a welcome sight. Shimano's concerted entry into this segment of riding only raises the level of competition between the two firms, something that will ultimately benefit all gravel riders, whether fans of 1x or 2x. Okay tech stuff done, how was the Almanzo 100? I had a hoot! A big part of that is thanks to Shimano's gravel ambassadors, an assembly they're calling the Gravel Alliance. Shimano handpicked 15 riders from around North America (yep, there are two Canadians in the mix) to help the Japanese firm keep tabs on gravel trends, test new product, and spread the word on Shimano's efforts in the mixed surface cycling world. The crew is a motley one that runs the gamut from elite racers to bicycle-mounted hooligans. I met them late last year as I shadowed Shimano's ambassador program at its first meet-up in Irvine, California, Shimano American's HQ. Earlier this year, at the Rock Cobbler in Bakersfield, California, I saw them again, some head-down racing, others taking time to lounge by the pool in the backyard of a house the course visited. At Almanzo, it was no different. The Gravel Alliance's mix of men, women, racers, and partiers is representative of gravel at large, with seriousness and fun blending seamlessly. The emphasis on one or the other can change from mile to mile. It certainly did for me at Almanzo. Junior Mendes was relaxed before the start. The Brazilian manages the San Dimas Incycle Bicycles location. He also shreds on road, gravel, and mountain bikes. 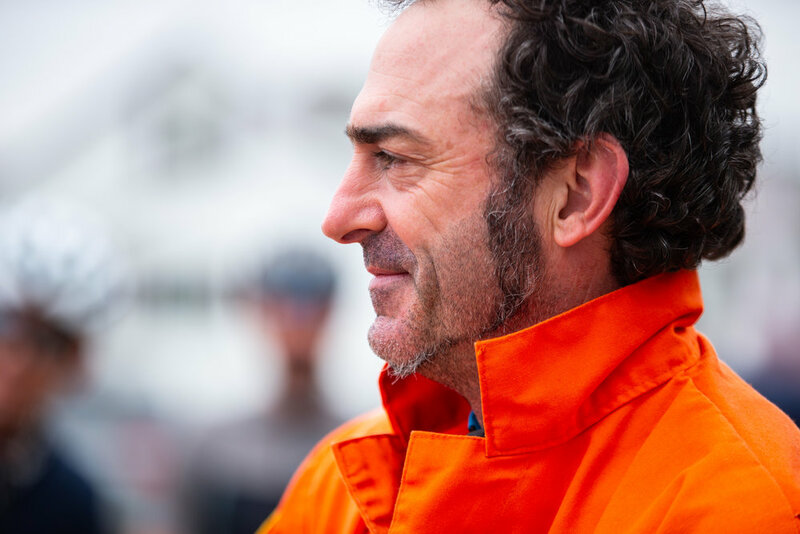 Stevil Kinevil, of "All Hail The Blackmarket" infamy, keeps the mood light among the Shimano Gravel Alliance. After a quick start in the top 15, I had to avoid a silly crash 11 miles into the race. I'm not in the business of calling people out, but there were some seriously sketchy dudes in the front of that race. They have every right to be there, but a little more courtesy among riders sure would have been nice. On several occasions I was chopped by eager racers riding across my front wheel with little regard for safety. At first this bad behavior had me laughing at the ridiculousness of it all, but that soon turned to anger as the shifty riding culminated in a crash as we began rounding a bend. Crashes happen. It's part of bike racing and I was happy to stay upright, though I did have to hop a downed bike and ride into a field to do so. But this one seemed unnecessary. I'll admit that I didn't handle the situation well afterwards, cussing at the mopes who had been riding so carelessly. With that drama behind me, I decided to enjoy the rest of the day as much as possible at a reduced pace. I ate some, drank some. And let a couple groups roll past. Eventually I met up with Phil Thomas and Jared Porter, two of Shimano's ambassadors. We fell into a great pace, rolling along with intent but without any sense of urgency. From here, the photos tell the story. Miles of smiles. Jared and Phil hail from Massachusetts and Virginia respectively. Shimano takes product testing seriously. Hiroshi Matsumoto, a Japan-based Shimano engineer who was instrumental in the development of the RX derailleur, has raced Almanzo multiple times. He also has a knack for incredible sweat Rorschach patterns. Late in the race we came upon a surprise aid station stocked with Jack Daniels, Fireball, beer, bacon, water, and candy. It was all graciously provided by the RidingGravel.com crew of Ben Welnak and Guitar Ted. Shots were down, bottles were filled, and after a selfie, off we went. Thanks! Done and dusted. It was a pleasure to ride with Phil and Jared. Together we shared work, food, water, and stories. All the things that make gravel great!